Just last week I blogged about the importance of Jewish leaders and teachers using social media to reach out to their following in the 21st century. One of the premier examples of a rabbi who exploited social media, and Facebook specifically, for good was Rabbi Dovid Winiarz. 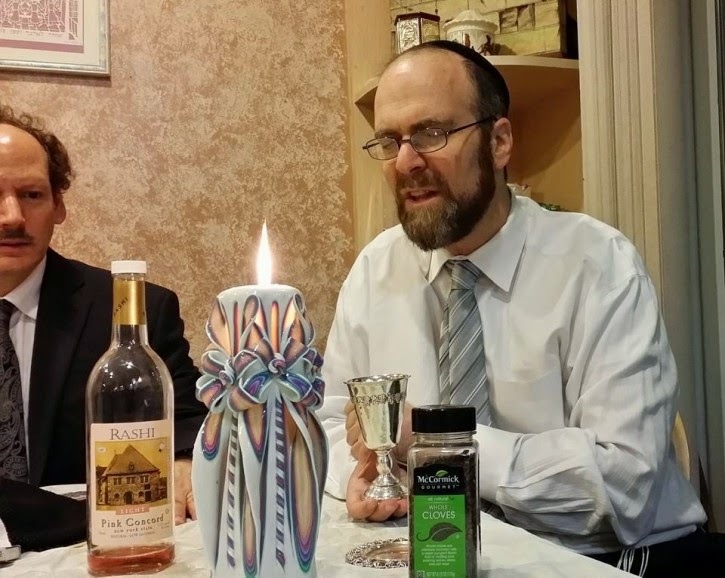 Rabbi Winiarz was a popular outreach rabbi on Staten Island who had over 12,000 followers on his public Facebook page, which was called "The Facebuker Rebbe." Like Rabbi David Wolpe, who similarly has built up a massive following on Facebook to teach and inspire, Rabbi Winiarz posted his religious teachings to inspire more Jews to embrace an observant life. Tragically, The Facebuker Rebbe Facebook page yesterday turned into a tribute page after Rabbi Winiarz was killed in an early Sunday morning car accident in Maryland while traveling to Baltimore for a kiruv (outreach) retreat. He was the father of ten children. I never met Rabbi Winiarz in person and don't think we ever communicated, but I have tremendous respect and appreciation for him. There are many ultra-Orthodox rabbis who shun the Internet in general and social networks like Facebook in particular. They judge them for the negatives without recognizing that they are also gateways to reach people where they are. Rabbi Winiarz had an explicit goal of reaching out to Jewish people and bringing them closer to Torah and a life infused with Jewish ritual. He did this through the modern magic of social media. Rabbi Winiarz, who had a secular job for parnassah (livelihood) at Fidelity Payment Services, was buried this morning as Americans reflect on the life of Martin Luther King, Jr. Both of these men were successful in reaching out to people where they were and bringing them closer together for a cause. Dr. King bought people from different walks of life together in the name of equality. Rabbi Winiarz brought people from different walks of life together in the name of Torah and Jewish values. Rabbi Winiarz didn't discriminate when it came to teaching Torah on his Facebook page. He educated and inspired Jews of all walks of life with his insightful Torah teachings. He was a mensch of the highest degree. The final post by Rabbi Winiarz on The Facebuker Rebbe Facebook page was a photo of two young boys learning Torah and the simple caption, "Before I leave on my road trip I came to learn Torah with my son and his friend..."
Zekher tzadik livrakha. May the righteous soul of Rabbi Winiarz be bound up in the bond of eternal life and may his memory endure for blessings.